into a flat calm sea. 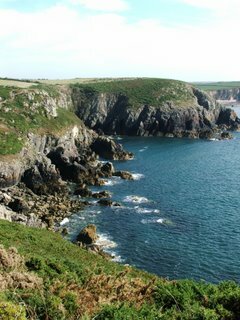 At the mouth of the bay. In the company of choughs. You on the edge of your new world. We on the edge of ours, striding out. We celebrate Roald Dahl's 90th anniversary today. Did you know he lived and worked in Wales? 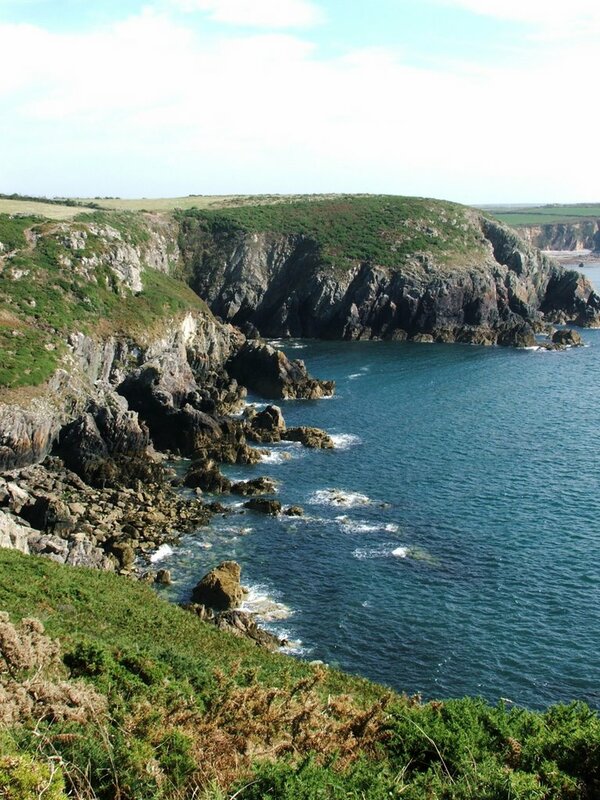 The picture was taken on the Pembrokeshire Coast Path between St. Justinian's Bay and Porth Clais. Love Roald Dahl...I read his books to my sons. Very required reading. I so enjoy your pictures.